The first step is putting in some thought very early in your wedding planning process. 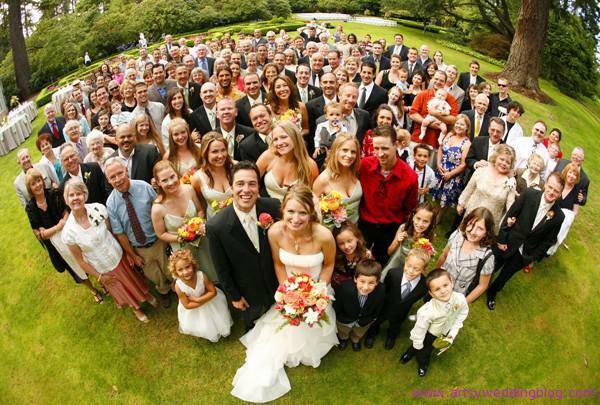 Many couples will utilize an A, B, and C set of guest lists in order to help streamline this process. Because it’s usually impossible for most couples to invite everyone that they’d like, dividing your list up into segments like this allows you to ensure you invite everyone that should be there, while also maintaining backups if your budget or the size of your ceremony space and reception hall allow for it. Another key step is to begin gathering contact information for your guest list very early as well. As some couples have found out, this can be a time-consuming part of your process, even when only gathering emails or digital contact information. After you’ve created your initial lists, fill in the information for everyone you currently have. Then get to work on the phone or via email to fill out your list before you do anything else. You won’t want to deal with this time-consuming step later. Guest List Management Tools – How Can They Help? In the past, this was done by hand and usually took many iterations. As guests added or dropped off your plan, the seating chart was a constant source of reworking. However, many guest list management apps now feature digital seating charts. This lets you save and edit as you go with one master chart, preserving plenty of your time for other aspects of wedding planning. Nothing makes a couple’s life easier than being able to contact all wedding guests with the same information. Venue policies, directions, and registries are all things that need to be communicated to all of your guests. With mass email features, you can collect guest emails as you invite them. Then, you can contact them all whenever needed. You also may want to consider a program that allows you more flexibility with customizing your wording. While many couples have already begun utilizing Excel spreadsheets to ease their planning process, being able to import your own spreadsheet or export data from a guest list tool is also key. This way, you can keep all of the important information in an easy-to-use chart. This will be especially critical when contacting vendors, choosing a reception hall, or figuring out how many hotel blocks to reserve. How Do I Make My Wedding Ring Smaller?